Based on the real-life relationship of the show’s Broadway creators, the late, great Tony Award-winning composer Marvin Hamlisch (A Chorus Line) and Grammy Award-winning songwriter Carole Bayer Sager (who composed songs for Michael Jackson & Celine Dion), They're Playing Our Song takes a peek into the trials that both Sonia and Vernon undergo before finding true love. Co-presented by The Rockwell Club and The Peninsula Manila, 9 Works Theatrical stages this Tony Award-winning romantically offbeat comedy musical, which features hit songs like "Fallin’" and "I Still Believe in Love" returns to Manila after more than a decade. 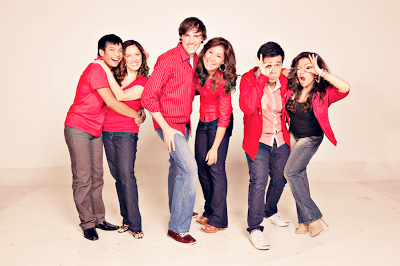 It will shown at the Carlos P. Romulo Auditorium, RCBC Plaza in Makati City from February 8 to March 3, 2013. Well-known composer Vernon Gersch meets aspiring offbeat female lyricist, Sonia Walsk. It’s the token story of boy meets girl, boy falls in love with girl, girls falls head over heels for boy – only, the kookiness of Sonya interspersed with the wisecracks of Vernon leads to one hilarious scene after the other. The musical also marks the return of singer-actress Nikki Gil (Sonia)to the stage. Nikki, who regularly appears on the noontime variety show ASAP 2012, is one of the longest running VJs for MYX music channel. She is also a trusted brand ambassador and spokesperson for various advocacies, as well as a TV actress and a singer with several albums under her belt. She also played the role of Elle Woods in Legally Blonde the Musical, and Sweet Charity. “I’m actually very excited to start rehearsing for the show but at the same time, very nervous,” intimates Nikki about having to play the role of Sonya. She says that performing onstage is always nerve-racking and it never gets any easier. Not to mention, the role of Sonia was once played by her idol, Tony Award-winner Lea Salonga. Lorenz Martinez's (Vernon) inherent gift of quick comic timing and tenor singing voice has enthralled audiences both locally and abroad. Currently appearing in Resorts World Manila’s The King and I as Lun Tha, he has also appeared in shows like Forbidden Broadway, The Wedding Singer, Rogers and Hammerstein’s Cinderella (Asian Tour), The 25th Annual Putnam County Spelling Bee, and the Netherlands production of Miss Saigon as the Engineer, among others. Robbie Guevara directs 9 Works Theatrical's They're Playing Our Song. He has performed in numerous productions both here and abroad, most notably in the Manila production of Miss Saigon where he understudied the role of Engineer. It was a role that he would eventually play in the Asian and UK tours of the show. He is also the visionary behind 9 Works Theatrical’s critically acclaimed productions of Songs For a New World, RENT, The Wedding Singer, and Sweet Charity where he first encountered Gil. 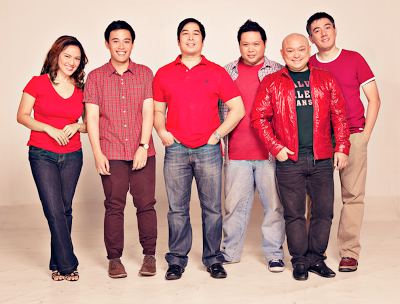 Robbie Guevara (Director), Joseph Tolentino (Musical Director – Instrumentation), Lionel Guico (Musical Director – Vocals), Mio Infante (Scenographer and Costume Designer), Martin Esteva (Lighting Designer), Gemini Quintos (Choreographer), Chuck Ledesma (Sound Designer), Twinkle Zamora (Costume Execution), Kalila Aguilos (Costume Stylist), Joseph Pascual (Photographer), Tin Samson (Magazine Editor), and Larry Palma (Graphic Designer). Santi Santamaria (Executive Producer), Anna Santamaria (Company Manager), Toff de Venecia (PR Director), Jonjon Martin (PR Manager), GM Hernandez III (Marketing Manager), Carlos Canlas (HR Manager), Sunshine Domine (Production Manager), and Aries Alcayaga (Stage Manager). 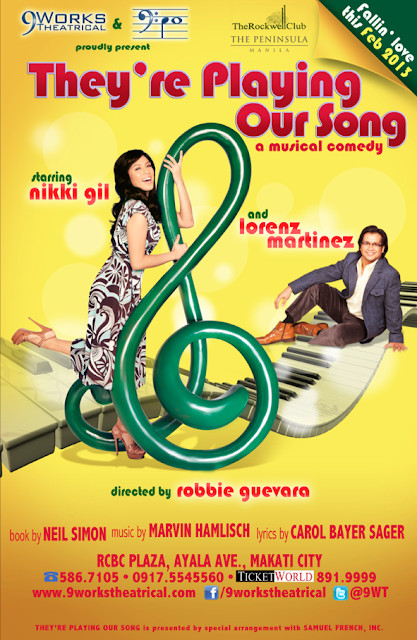 They're Playing Our Song will run at the Carlos P. Romulo Auditorium, RCBC Plaza, Makati from February 8 to March 3, 2013 and is co-presented by The Rockwell Club and The Peninsula Manila, with special participation of SM Accessories, Lynelle’s, Mary Grace, BPI Credit Cards, and media partners, MYX, Business World and HerWord.Com. This production is presented by special arrangement with Samuel French, Inc.
For tickets, call 9 Works Theatrical at (632) 586-7105, +63917-5545560 or Ticketworld at (632) 891-9999.